Hi everyone! I’ve recently updates and enabled a lot of the art prints in my Society6 shop. S6 has made more items available for print so I’ve enabled and updated a lot of my best sellers there. Let me know if I missed a print you wanted and I will make it available. Hope you are having a lovely summer. 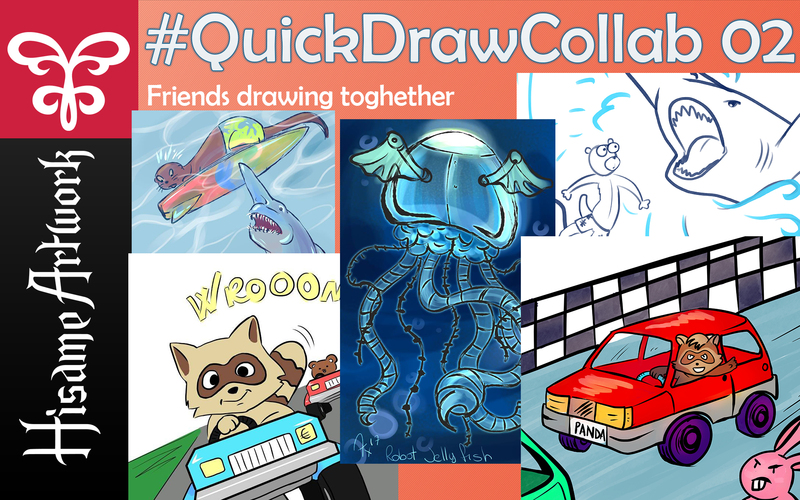 We had some floods were I am and it’s pretty cold now and I know some of you are deign of the heat wave and exams and jobs and so on but we’re still holding the #ColorMeCollab \(^o^)/ to hopefully brighten your day and give you something relaxing to do. 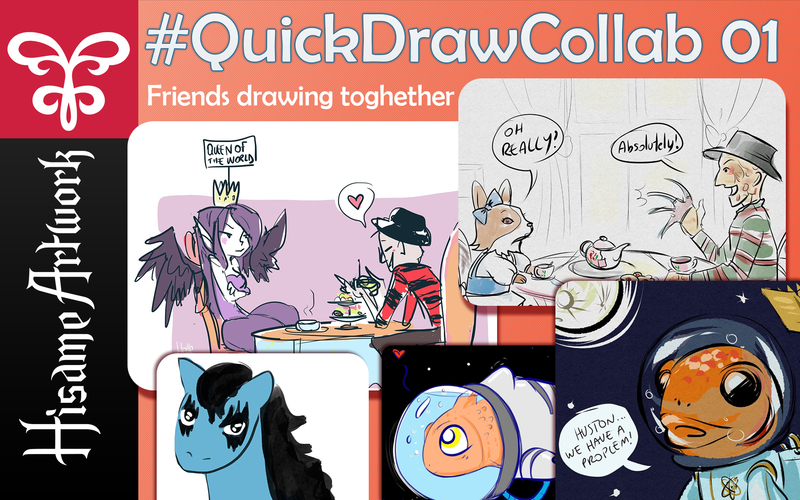 And you can join our Facebook group to take part in the event or just check out how we colored the linearts. There really aren’t any rules to this, just fun! And anyone can join. As promised I’ve reopened commissions and here is my price list for this summer. In autumn prices may rise since this is an early access price and discounts are currently only for my Tsu followers. But I will give away some art when I reach my milestones on my other social media accounts so use the hashtag #HisameOCL to find what I made available on your favorite platform! Watching is totally free and if you subscribe you’ll be helping my channel grow! 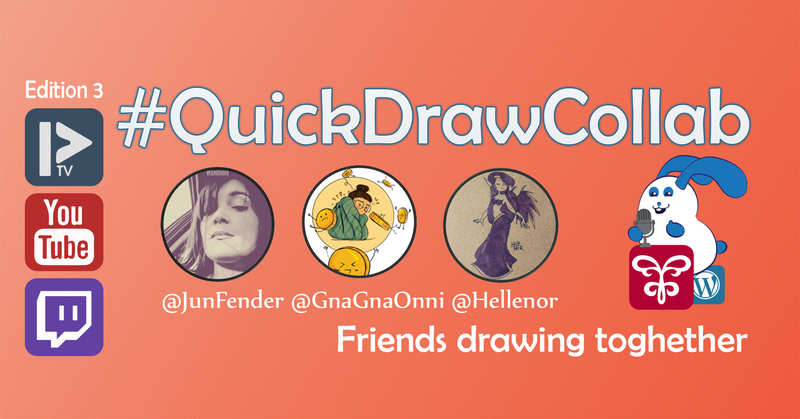 Having an account is necessary in order to use the chat, so join us now and we can discuss self-publishing, art and other stuff you guys want. I’m offering these discounts to reward my followers for all their support over the months. 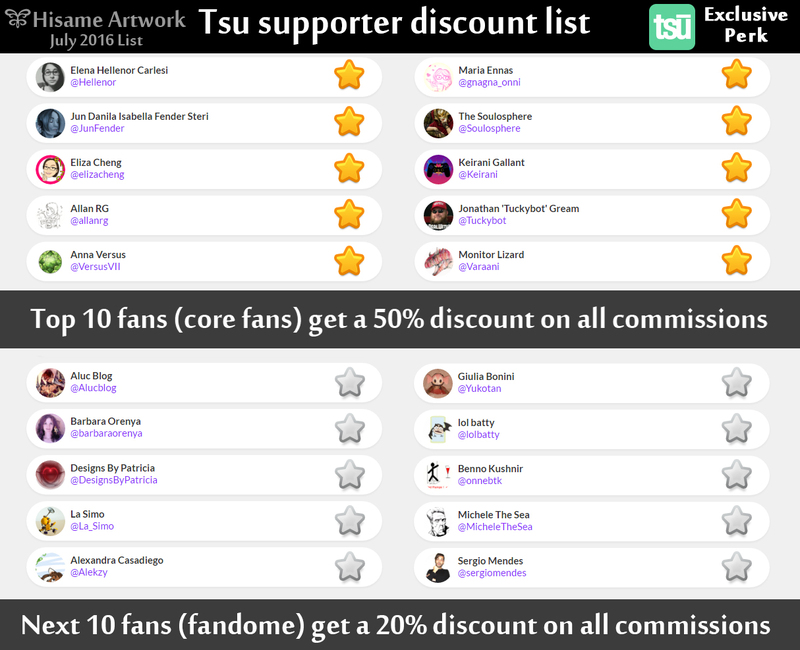 For those that don’t know Tsu gives add revenue, so your support really counts. Sharing, following, likening and commenting helps content creators, because it gives them a little cash. The list of top supporters is updated at the end of each month. I retain copyright over my work. If you want to use the image for commercial purposes and have me give up copyright over it please PM me since the price will increase. Please no fanart that I cannot gain, approval or license for. This was a fun illustration and if you would like to color her I invite you to do so and color it yourself in which way you want. I’d love to see your version of it! This is Haruka from my novel Dragon’s feast – The last God. It is a fantasy story about three dragons struggling for dominance in a medieval east Asian world where the supernatural dominates the lives of ordinary people. Prints are available in my Society6 shop. For more updates you can also follow me on Facebook and Twitter. I wish you all a great day! Autumn is here and this is my latest illustration using watercolor pencils. Hope you like it, have a great day everyone! I used the Staedtler watercolor pencils that I found on discount at Walmart. 24 colors in total and I absolutly love them since they blend very well. And if you wish to support me you can like and share my page. Thank you.